A Health Savings Account (also known as HSA) is a powerful account that should not be ignored. These were created in 2003 to provide special tax treatment for those with high-deductible health insurance plans. Not everyone is eligible for a Health Savings Account, but if you are, you should really give it a solid look. According to the HealthCare.gov site, “the IRS defines a high-deductible health plan as any plan with a deductible of at least $1,300 for an individual or $2,600 for a family.” This type of plan usually requires more out of pocket costs than traditional plans. Are you eligible for a Health Savings Account or HSA? 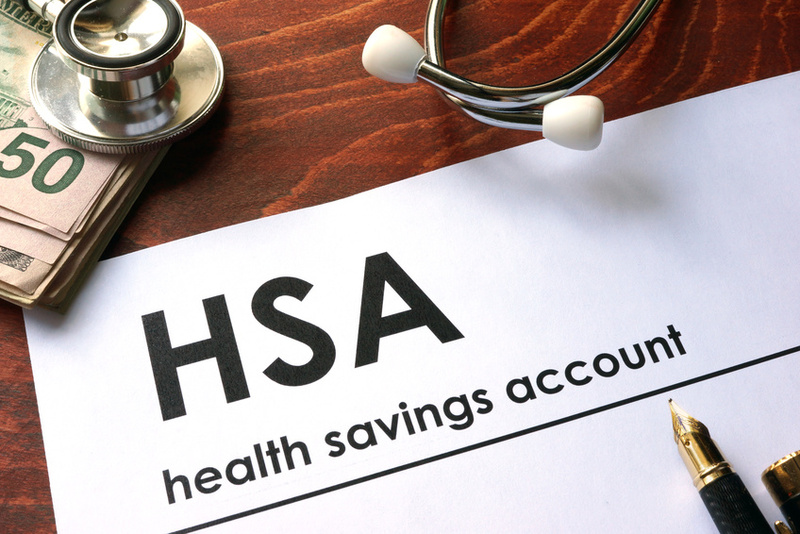 What is so great about a Health Savings Account or HSA? Tax benefits like no other: These accounts provide a powerful incentive for use due to unique tax benefits. Contributions made to an HSA are tax deductible. If an employer makes contributions on your behalf, those contributions are excluded from your taxable income. If you make the contributions, they are a deduction. Interest and other earnings on your investment are tax exempt. That means no 1099 at the end of the year like a traditional investment account. Lastly, withdrawals made to cover qualified healthcare expenses can be made tax free! Unused balances can be spent in future years: There is no “use it or lose it” feature with HSAs. Other healthcare related accounts can require that all balances be spent by the end of the year. If you don’t, that money disappears. This isn’t the case with HSAs. Account balances are carried over for use in the future whether it be next year, in ten years, or beyond. There is no income limitation: Some taxpayers are excluded from participating in certain tax advantaged accounts. For example, Roth IRAs offer the attractive option of funds that can used tax free in retirement. However, this is only an option for those with modified adjusted gross income (MAGI) under $133,000 for single filers and $196,000 for married filers (2017). Individuals and couples who couldn’t qualify for a Roth IRA based on income, might be eligible for the tax free benefits of an HSA. How is a Health Savings Account or HSA taxed compared to other tax advantaged accounts? IRAs, Traditional 401(k), and 403(b) allow for tax deductible contributions which reduce current year tax liability. While investment earnings aren’t taxed , the future withdrawals of principal and earnings are. This method of taxation often catches a lot of people by surprise upon retirement. Think about replacing your annual income with withdrawals that are fully taxable as ordinary income. Most people are shocked by the amount of taxes owed each year. Consider a $10,000 distribution and while being in the 20% bracket. That means you end up netting $8,000. The other $2,000 evaporates into thin air! Roth IRAs and Roth 401(k) do not allow for a tax deduction. Contributions are known as “after tax” so they do not reduce current tax liability. Investment earnings and future withdrawals are not taxed. This is why Roth IRAs are often referred to as “tax free” retirement accounts. I suggest taking a look at another article I wrote called Tax-Deferred vs Tax-Free Investment Accounts for more detail on this. HSAs allow for a tax deductible contribution that reduces current tax liability. In addition, the investment earnings and future withdrawals are tax free. This is like getting the best of both worlds. You get the tax deduction of an IRA and tax free withdrawals of a Roth IRA. Contributions, for those with individual coverage, are limited to $3,400 ($4,400 for those 55 or older) in 2017. Those with family coverage can contribute up to $6,750 ($7,750 for those 55 or older). It is important to remember that these limits apply to employer and employee contributions combined. Therefore, you should be careful not to over fund the account. This is less of a concern if no employer contributions are involved. Another consideration is that you can make contributions up until you file your taxes. This is similar to the way IRAs and Roth IRAs are funded. For example, as long as you are eligible to make a contribution to an HSA, you can fund the account by April 15 (or whichever day tax day falls on that year) for the prior tax year. While this created flexibility on one hand, it can create confusion on the other. Make sure you know what year your contribution is funding. Many people have recurring monthly contributions so you need to be careful that you don’t inadvertently over fund the HSA. For example, consider that you have $200 per month on auto deposit in January through April. If those deposits are coded as “prior year contributions,” and you already maxed out your contribution limit by December, you run the risk of over funding. Don’t underestimate the power of the Health Savings Account. With the ability to allow account balances to rollover to future years and its unmatched tax benefits, the HSA is an account not to be ignored. Do you have questions about a Health Savings Account? After ignoring HSAs for a few years, I finally took the plunge last year after calculating that my insurance cost would effectively be the same as the normal PPO + FSA strategy that I was using before. Now, I’m not “looking” for medical expenses to pay at the end of the year so that I use up my FSA before the deadline… instead, I’m happy to let the balance roll over and accrue investment returns year after year! Thanks Lee for your comment and sharing your experience. For a lot of people, it’s just one more thing to keep track of and get your arms around. Between company retirement accounts, personal investments, college savings plans etc., I can see how this can lead to “account fatigue.” I would be curious to know how many people with a high-deductible health plan (HDHP) DON’T utilize an HSA. I have a feeling that many people who could really benefit from an HSA are missing out.